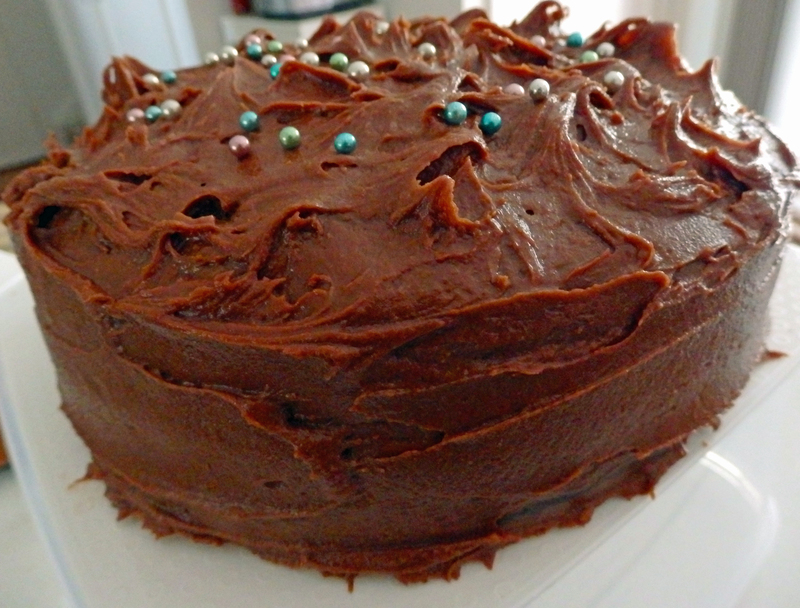 This is Nigella’s basic chocolate cake recipe from her website – simply delicious. I heated it in the microwave for 10 seconds and the chocolate icing just oozed down the cake – yummy!! Put all the cake ingredients – flour, sugar, baking powder and bicarb, cocoa, butter, eggs, vanilla and sour cream – into a food processor and process until you have a smooth, thick batter. If you want to go the long way around, just mix the flour, sugar and leavening agents in a large bowl and beat in the soft butter until you have a combined and creamy mixture. Now whisk together the cocoa, sour cream, vanilla and eggs and beat this into your bowl of mixture.